Trivia: It had a 100-day run in 30 centers. 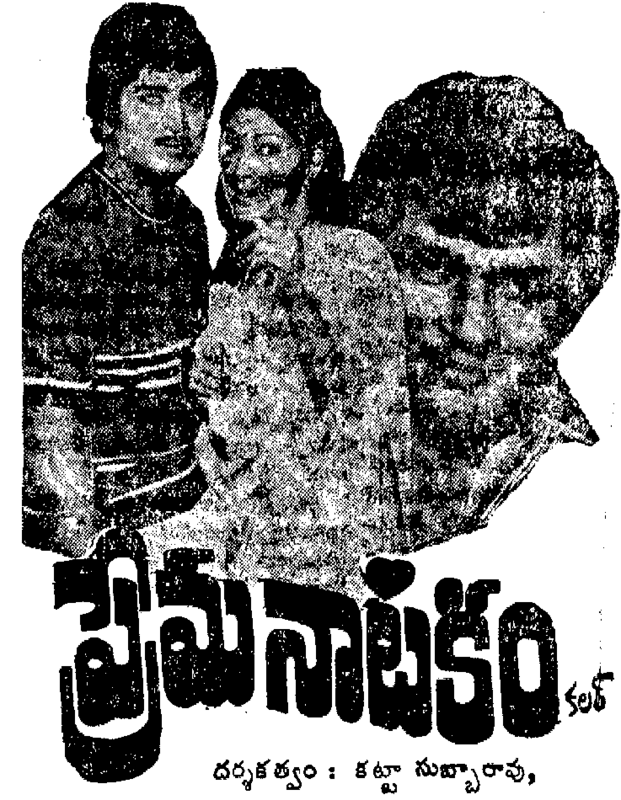 This was first Telugu movie had a 100-day run in 4 centers in Bangalore. 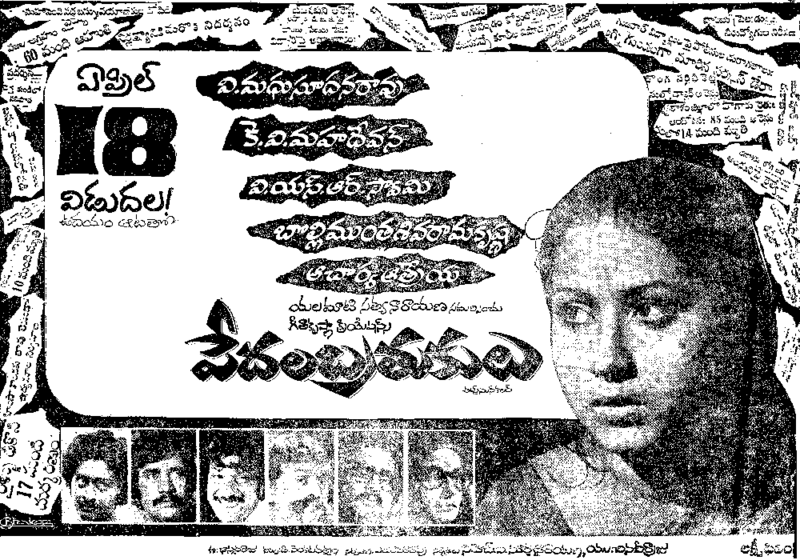 It had a 175-day run in 29 centers and created new record in Tollywood. It had a 365-day run in 8 centers. 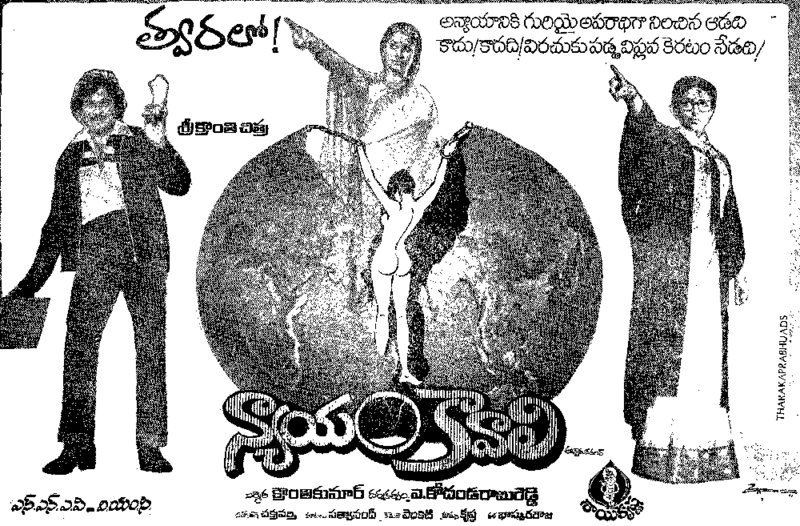 Trivia: It had a 100-day run in Vijayawada, Vizag and Hyderabad. 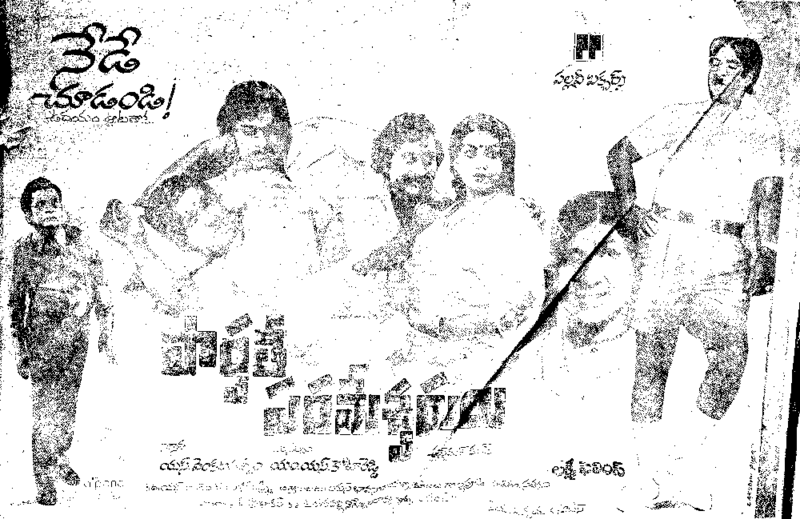 Trivia: This is first Telugu film for Radhika. 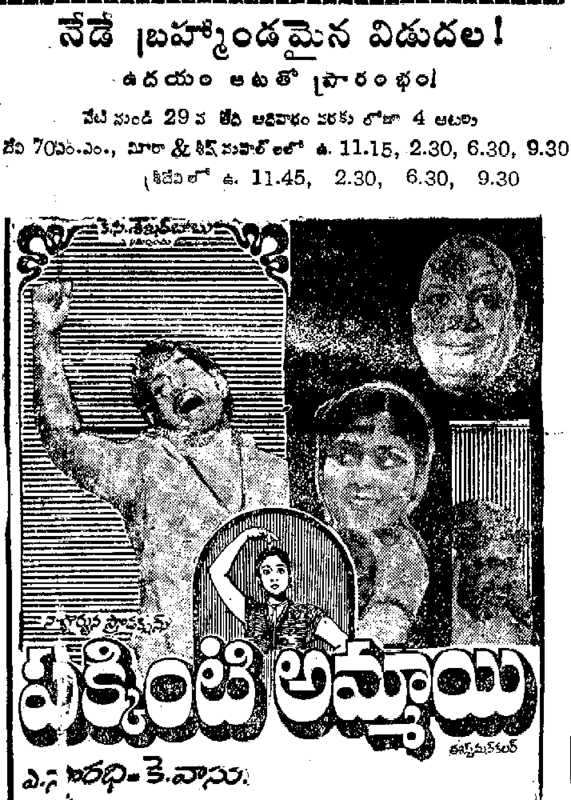 Trivia: This was remake of Telugu comedy film PAKKINTI AMMAYI (1953), made by Chittajallu Pullaiah. 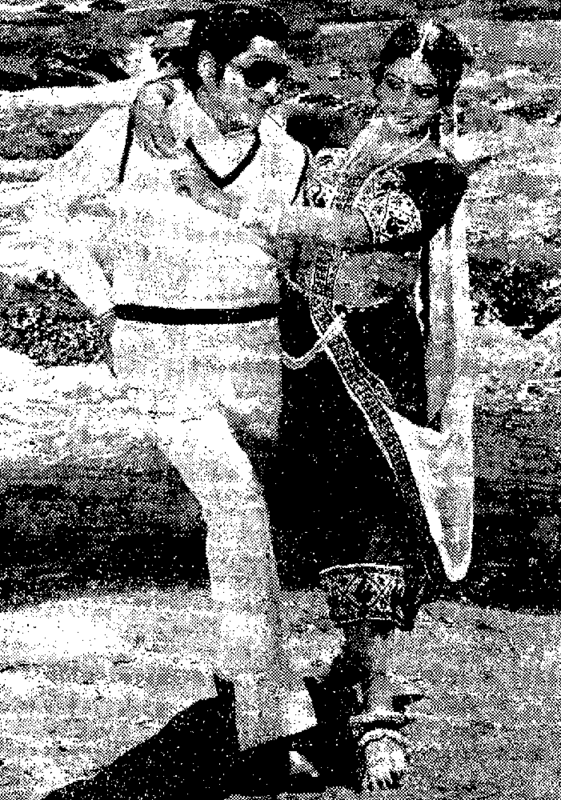 Chakravarthi rendered a full song first time in this movie. 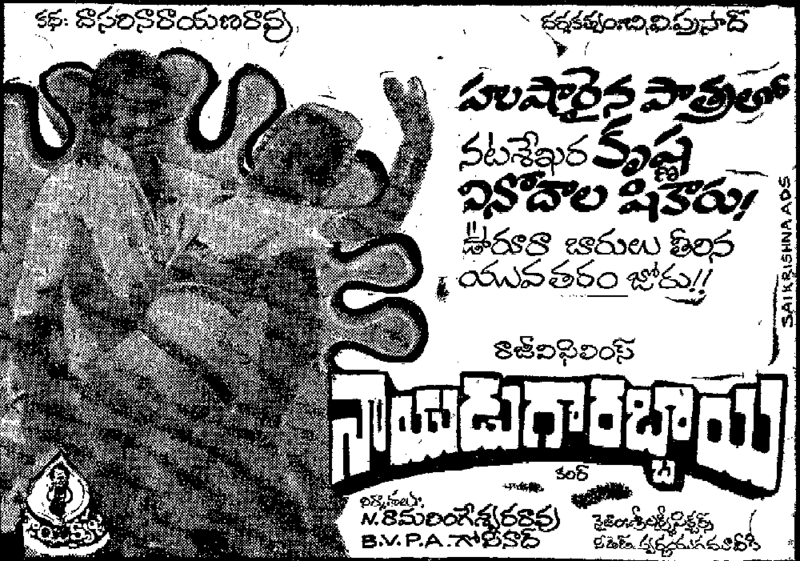 Trivia: This was based on D. Kameswari's novel KOTTA MALUPU. 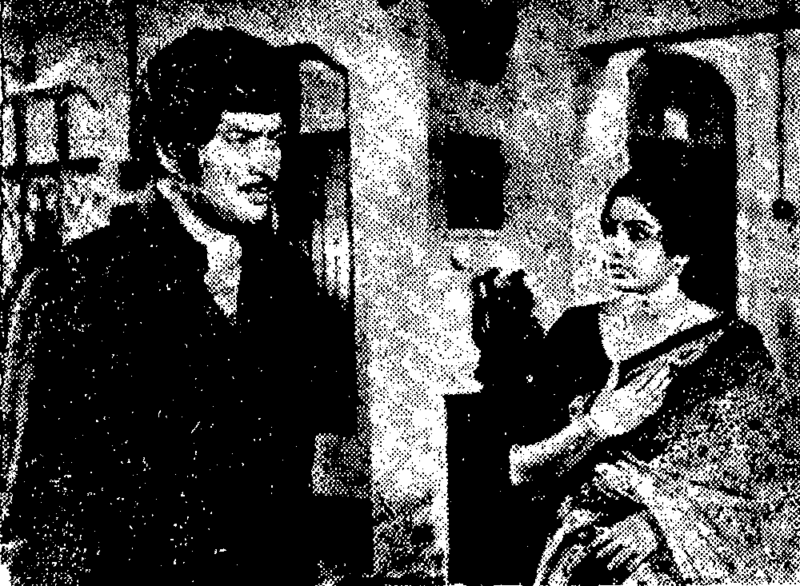 This was debut movie for actress Radhika.